DJ Xclusive is a popular Nigerian Deejay,Producer and Artist, He did his college time in the UK before coming back to Nigeria to lauch his career, Dj Xclusive has a lot of hit songs and album to his name and he is one of the most bankable DJs in Nigeria today. Rotimi Alakija was born in the UK to Nigerian parents. At an early age, he moved back to Nigeria to pursue a high school education at King’s College, Lagos. Rotimi Alakija moved back to the UK to study Physics and Computer Science at Reading University, where he earned a Bachelor’s Degree. He later studied Financial Computing at Brunel University. He came back to Nigeria with the idea that he wanted to play a major part in the Nigerian music industry which is on the rise. He also wanted to enhance the profile of the average DJ because in Nigeria everybody sings the praises of the artist whereas in London and America, DJs are given their due recognition. Before he came back he was the DJ at one of the Cool FM parties so he already built a relationship with the organization. He liked the platform; it suited the kind of music he wanted to play. So in June 2011 he signed a contract and never looked back. And he is on radio at 3p.m. from Mondays to Thursdays on the Road Show and 8p.m. to 9pm on the Night Café. On Fridays and Saturdays, His on the Party Club Mix from 8p.m. to 1a.m. It was challenging but he loved it. DJ Xclusive started his professional disc jockey career in 2003 by performing at various night clubs, including Aura Mayfair, Penthouse, Funky Buddha and Jalouse. During the course of his career, DJ Xclusive has performed with acts like Ne-Yo, Rihanna, Mario Winans, Brick and Lace, Nas and Fat Joe. 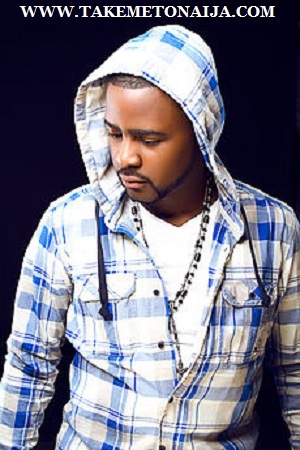 At the 2010 edition of the Nigeria Entertainment Awards, held in the United States, DJ Xclusive won World Best DJ. He was nominated for Best DJ at the 2011 edition of the Black Entertainment Film Fashion Television Awards (BEFFTA Awards). He was also featured at the 2013 Big Brother House Party. In 2011, DJ Xclusive became the resident DJ for CoolFM 96.9 and also joined Empire Mates Entertainment as Wizkid’s official DJ. DJ Xclusive released a single “I’m Xclusive” alongside renowned UK-Nigerian artist Mo Eazy. Tell me about your growing up? geek while I was little. I was into my books and computers and cartoons. wear big glasses like Steve in Family Matters. A geek? That’s interesting. Were you fortunate enough to have a memorable first kiss? air conditioner on and I was sweating like a pig! Funny, but that was long ago. How about now? Who is the special lady in your heart? focus and with me right now, I’m really focused on my career. Can you tell us what makes you happy? thrill in this business; what more can I do? What more can I achieve? To be a successful DJ, what quality or skill does one need? then humility, you need to stay grounded. Dj Xclusive is the nephew to Nigerian billionaire businesswoman, Folorunsho Alakija. DJ Exclusive signed a multimillion naira endorsement deal with ‘Miller’, a US Brewing Company in 2015.